Keemun Tea (Qimen Hongcha in Mandarin) is the most famous black tea from China. It is grown in a mountainous area covered with forests and characterized by low temperatures, high humidity and frequent fog. The lack of sunlight increases the chlorophyll content in the leaves, leading to a fruity, sweet and mellow taste and a distinct floral fragrance. When brewed, the tea takes on a clear, brilliant red color. 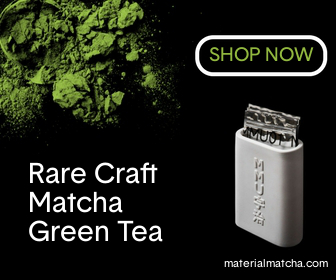 This tea can be found in any specialty tea shop or through an online vendor. If you are unsure where to begin, you can check out some of my recommendations below. The best brewing temperature is 90-95ºC (194-205ºF), which is just below the boiling point. You can just boil the water using a simple stove-top kettle and then let it cool for 20 seconds. Keemun black tea can be brewed in a variety of vessels. For these instructions, I will use a traditional Chinese clay teapot known as an yixing. Fill both the teapot and the cup about halfway with hot water to pre-heat them. Tilt them a bit so that the water creeps up the side and then rotate them so the insides get wet all the way around. Then pour the water out. Put 1-2 teaspoons of tea leaves into the teapot. If using a different vessel, use 1-2 teaspoons for every 8 oz. (236 ml) of water. You can get 3-5 infusions out of most varieties. Increase the steeping time 30 seconds for each infusion. How many infusions you do depends entirely on your taste. Experiment. 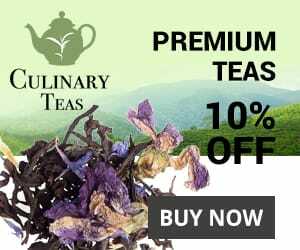 The video below shows an alternative brewing method, called the gongfu style, which uses more tea leaves and a much shorter steeping time. Using this method, you can get 6-8 infusions out of your leaves. A tea press (like this one) is used in the video, but the gongfu method is traditionally employed with an yixing or a gaiwan. Many people already have an account with Amazon.com so it is probably the easiest place to buy tea online. They don’t have a huge selection of quality Keemun, but this one is pretty good and fairly inexpensive. My personal recommendation is the Keemun Hao Ya from Teavivre. Hao Ya is the highest grade and this one is both excellent and still affordable. Teavivre also has a standard Keemun, which is one grade lower than a Hao Ya and thus also slightly less expensive. For an even higher quality tea, check out Teavivre’s Keemun Mao Feng. This special qimen variety is considered one of the world’s four best black teas. For more on Keemun tea check out the Wikipedia page.